MMA Fighter & Instructor and Public Speaker, DJ Fuentes uses a sword instead of the customary scissors to cut the red ribbon during the ceremony for TNT Fuentes MMA. 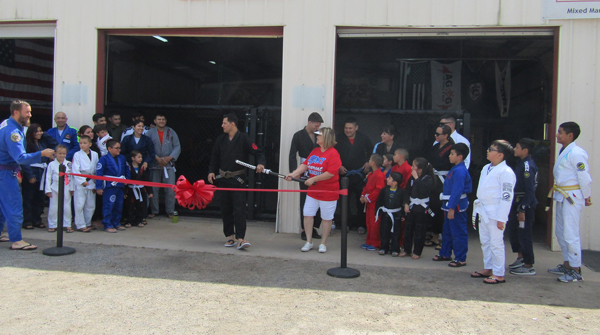 On Saturday, March 30, 2019 the Los Fresnos Chamber of Commerce welcomed its newest member, TNT Fuentes MMA located at 208 N. Arroyo Blvd., at their Grand Opening and ribbon cutting ceremony. TNT Fuentes MMA, a combination Mixed Martial Arts and Brazilian Jiu-Jitsu academy, is first of its kind in Los Fresnos. 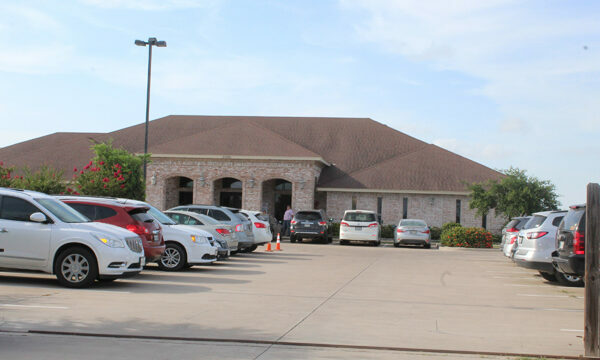 The academy offers MMA, Brazilian Jiu-Jitsu, Wrestling and other programs involving more than one combative art. “What a honor and pleasure to have the City of Los Fresnos and Chamber of Commerce at TNT Fuentes MMA to celebrate this new adventure and humbling beginning with us” said DJ Fuentes via email about the event. 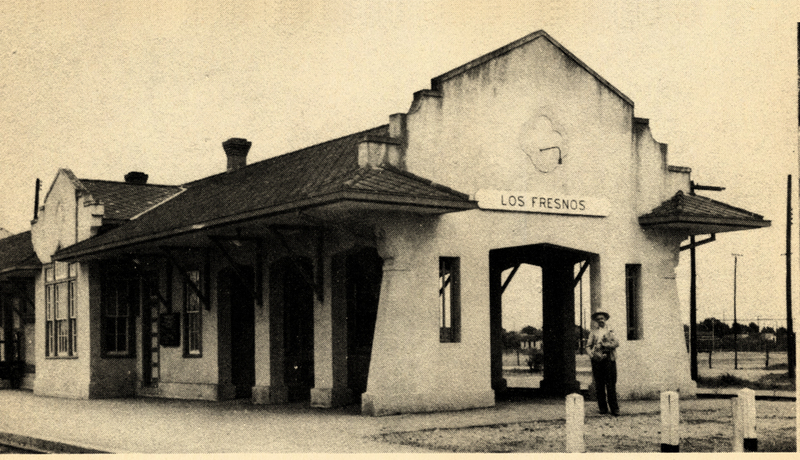 “We are Ohana,” Fuentes continued in his email. 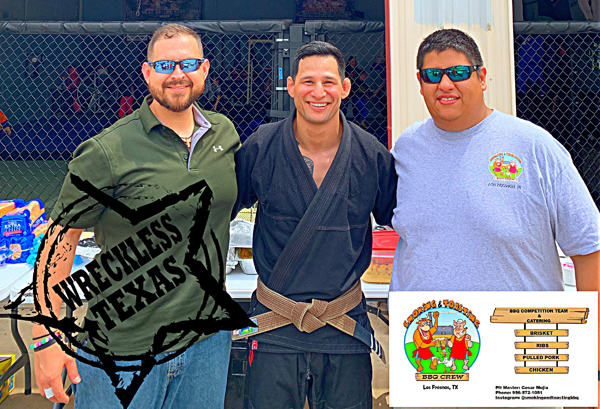 MMA Fighter & Instructor and Public Speaker, DJ Fuentes (center) with lead singer of Wreckless Texas (left) and Pit Master Cesar Mejia of Smoking & Toasting BBQ Crew (right). Ohana being a Hawaiian expression for Family. 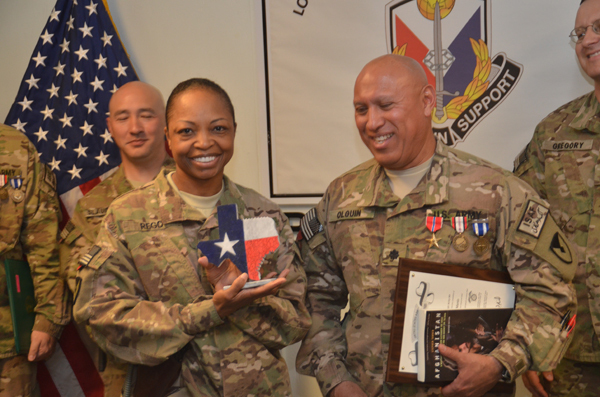 The ceremony included great eats by Pit Master Cesar Mejia of Smoking & Toasting BBQ Crew, live acoustic guitar music by Angel Leal (lead singer for Wreckless Texas), and a special appearance and autograph session by UFC Fighter – Alex “The Great” Hernandez. For more information about programs offered please contact TNT Fuentes MMA at (956)900-4019. 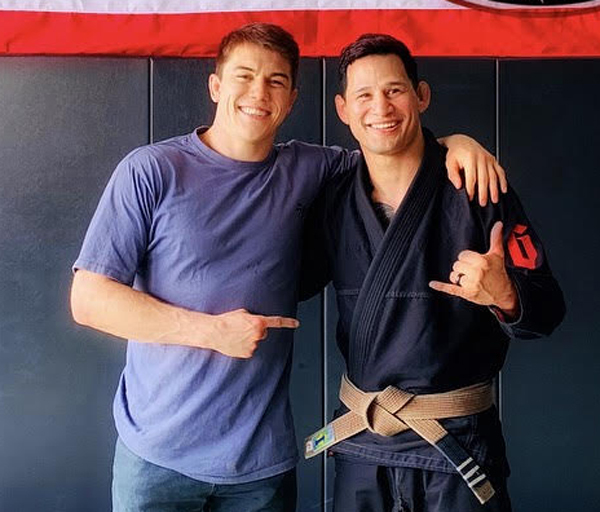 UFC Fighter – Alex “The Great” Hernandez shares a photo opportunity with MMA Fighter & Instructor and Public Speaker, DJ Fuentes.